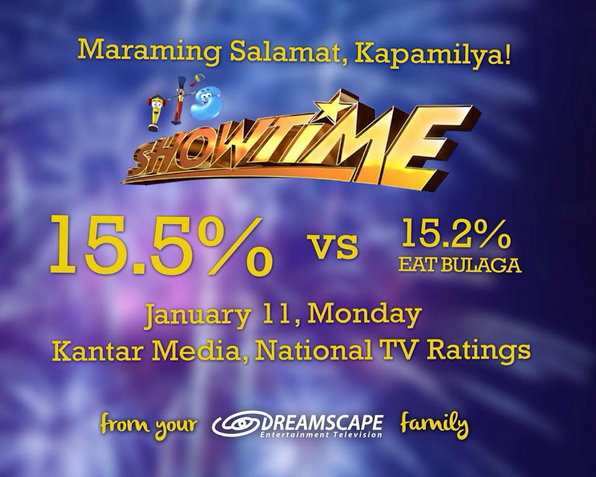 It's Showtime fans are rejoicing the 0.3% lead of the noontime show over rival Eat Bulaga in January 11, 2016's ratings. According to Kantar Media, It's Showtime registered a 15.5% rating over Eat Bulaga's 15.2%. 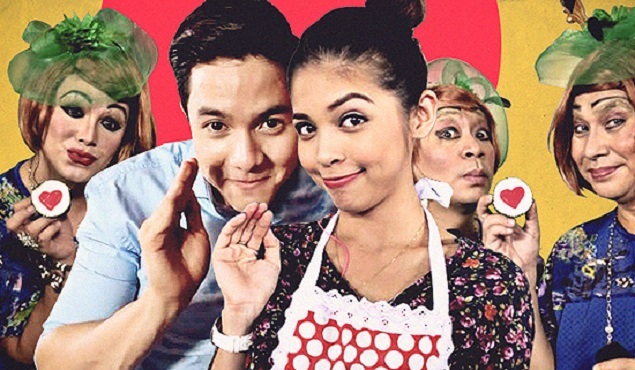 This is the first time that the ABS-CBN noontime show took the lead since the inception of phenomenal segment Kalyeserye. However, in a separate report by AGB Nielsen, Eat Bulaga is still number one. 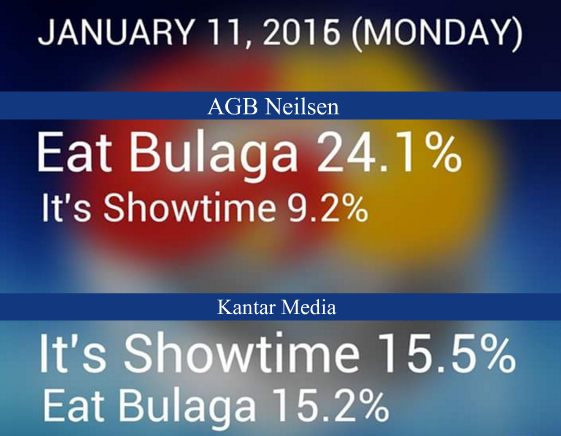 In fact, Eat Bulaga had three times more audience compared to It's Showtime, 24.1% versus 9.2%, on Monday. Several entertainment sites explained that It's Showtime's reported comeback might be credited to the launch of segment Tawag ng Tanghalan and Alden Richards' absence from Eat Bulaga. After a week, Alden is expected to return to the show on January 12. The argument boils down to which is the more trusted ratings provider. Who is the number one noontime show? Join the conversation on Twitter or by commenting below. Follow me - @mjdeleonblogs.